Our product range includes a wide range of gold chain soldering machine for jewellery, gold and silver chain making machine and figaro chain making machine. we are offering a wide range of Gold Chain Soldering Machine for Jewellery. Owing to its elegant designs, aesthetic finish and excellent craftsmanship, these Chains are widely recommended by clients. Our Gold chains are widely preferred by various fashion loving ladies as these increases the charm and glamour of the wearer. Our organization is positioned among the well-known manufacturers, traders, retailers and wholesalers of Chain Making Machine. Easy installation and elevated durability is some of the features offered by our precisely designed machine. 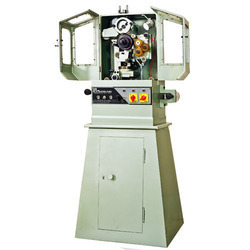 This machine is prime choice of our clients due to the impeccable performance in chain making. Our skilled professionals manufacture this machine with the use of utmost quality components at our manufacturing unit. 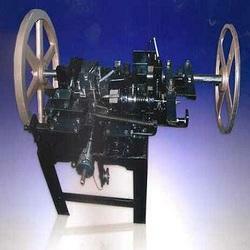 We are proficient in offering an excellent quality Figaro Chain Making Machine. 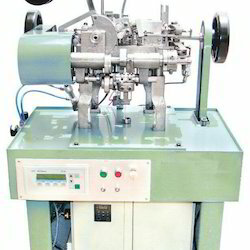 This machine controlled by PLC and is suitable to produce Figaro curb/cable. We pass this machine from various test parameters to assure high quality and performance. Combined with, variable speed motor, R/L curb option electronic sensor and air-oil filter, which duly increase its demand in the market. Our experts design and develop this machine at par with the industry standards using top-notch quality components.